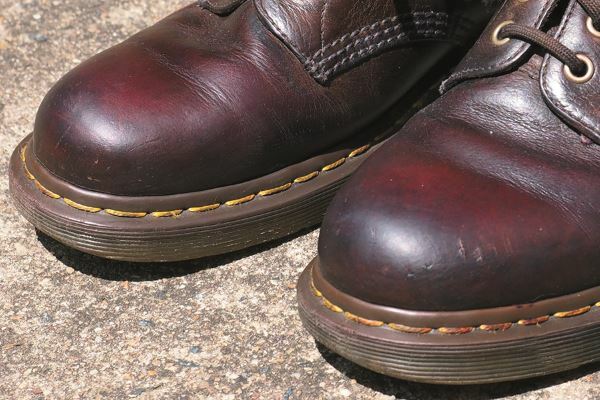 Around 70,000 pairs of Dr Martens boots are still produced annually in Northamptonshire. Dr Martens – maker of the iconic yellow-stitched footwear – has announced plans to double production from its UK plant by next year as part of a £2 million investment. These plans are expected to lead to 165,000 pairs of its shoes and boots manufactured at its factory in Wollaston, Northamptonshire each year. In October 2018, Dr Martens announced that profits had increased after positive sales in Europe and the Middle East. While the majority of the company’s boots are currently made overseas, some 70,000 pairs are still produced annually in the UK factory. A new visitor centre is also scheduled to be built on the site, where footwear has been manufactured since 1901. According to chief executive Kenny Wilson, this investment demonstrates the company’s ongoing commitment to the county of Northamptonshire at the heart of the English footwear industry. This article was originally published on page 2 of the April 2019 issue of SATRA Bulletin.